Two years ago audiences were introduced to Newt Scamander (played by Eddie Redmayne) and his case full of magical creatures. After his adventures in New York with Tina Goldstein (Katherine Waterston), Queenie Goldstein (Alison Sudol) and Jacob Kowalski (Dan Fogler), Newt is back. Two years ago audiences were introduced to Newt Scamander (Eddie Redmayne) and his case full of magical creatures. After his adventures in New York with Tina Goldstein (Katherine Waterston), Queenie Goldstein (Alison Sudol) and Jacob Kowalski (Dan Fogler), Newt is back. This time the dark wizard Gellert Grindelwald (Johnny Depp) has escaped the custody of a joint task force of American and European aurors. Newt is recruited by Dumbledore (Jude Law) to track down Grindelwald and ultimately bring him to justice. While that is going on, Credence (Ezra Miller) is in Paris looking for answers to who he really is and what his lineage is. He is joined by Nagini (Claudia Kim) who wants to be free of the circus she is enslaved to. She agrees to help Credence in searching for the answers. There are a few other sub-plots in this film, but I won’t go into those so as to not spoil anything. Rounding out the cast are Callum Turner as Theseus Scamander and Zoe Kravitz as Leta Lestrange. 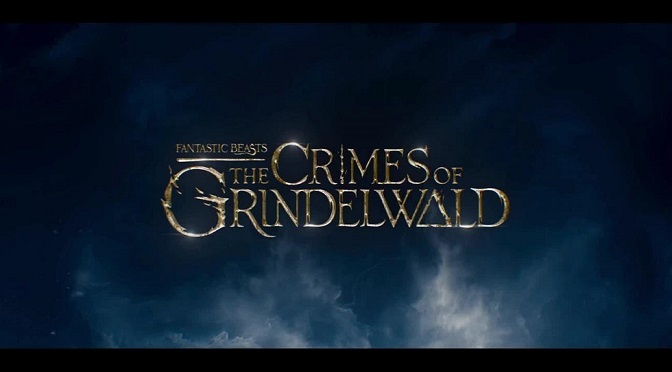 The Crimes of Grindelwald sees the sixth return of David Yates to the Wizarding World and the return of screenwriter J.K. Rowling (who created the entire Harry Potter universe). Rowling and Yates deliver a film that is darker in tone than the previous film as well as one with more ties to the other Potter films. Yates gets strong performances out of most of the actors in this film with Redmayne and Law being the standouts. The scenes that Redmayne and Law share together not only provided a lot of information for the viewer but also provided some of the best chemistry I have scene on screen in a while. Their chemistry is electric. The other highlight for me when it comes to acting was Dan Fogler. 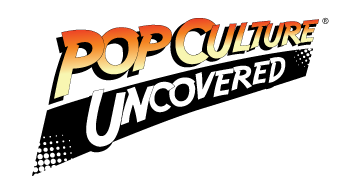 Fogler brings a lot of heart to the story and some much needed moments of levity. His friendship with Newt is a joy to watch and I has a smile on my face every time he witnessed some new form of magic. Outside of Newt and Dumbledore, Jacob has one of the best character arcs in the film. When it comes to production value, this film delivers. Every single scene is gorgeous and a delight to look at. The Paris of the 1920’s is something to absolutely behold. It captures the mystery and romance that people have come to fantasize about. One of my favorite sequences in the film deals with Newt, Jacob and Tina capturing a brand new beast for Newt’s case. The sequence takes place on a crowded Paris street and while watching it, I couldn’t help but notice all of the details. Another highlight of the production value are the costumes. All of the costumes look beautiful. From Newt’s simple outfit to Grindelwald’s outfit to the students at Hogwarts, I loved the costumes. All of these aspects helped bring even more enjoyment to this film. This is a world I want to live in. This is an enjoyable film but I did have a few issues with it. My first issue with this film comes at the beginning of the film. There is a chase/action sequence that is very hard to follow that takes place during a thunderstorm. While it is set up to be exciting, I found myself taken out of it by not only the distracting lightning strikes but in the delivery of the sequence itself. The second thing that I found wrong with the film was Depp’s performance as Grindelwald. As someone who is supposed to be the villain and be the “next” Voldemort, I found him lacking. At times it felt as if he was phoning it in and other times it felt as if he was channeling Jack Sparrow again. Now granted this is his first full role in this series and he might be better in future films but this performance had me wanting more. The last thing is that I found myself wanting more of Newt and his creatures. 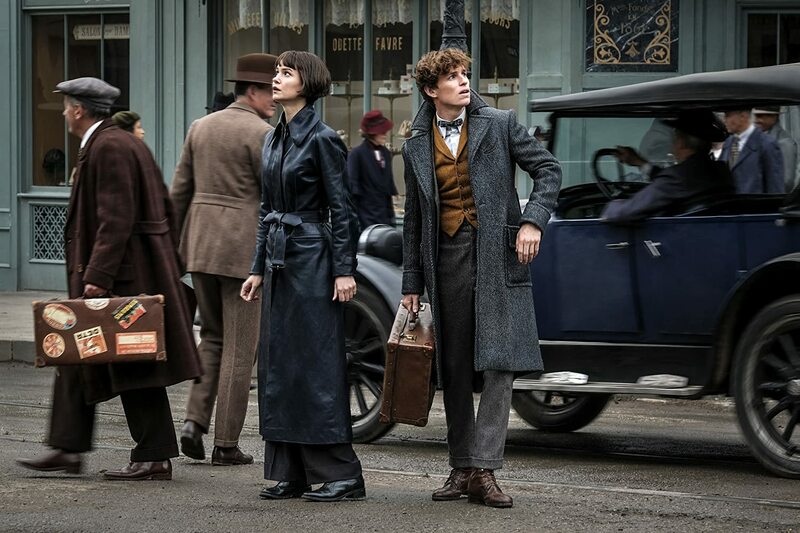 This series is called Fantastic Beasts and while the audience does see a few of them including some new ones that look amazing, I wanted more. Seeing new creatures like the kelpy and seeing baby nifflers was so much fun and I had a smile on my face. I would love to see a film of just Newt studying and helping these creatures and nothing else. As I stated above, I really enjoyed this film and I am looking forward to the next three films to see how this story ends.